Your roof is the crowning feature of your home, but as with all things, it wears out over time. As the structure weakens and it begins to sprout leaks, you’ll eventually need to replace it. If your roof is starting to show its age, you may need to start saving up for a roof replacement. Before you contact a roofing contractor, it’s important to understand the factors that determine the cost of a new roof in Florida. It’s important to understand what determines the cost of a new roof in Florida. We’ve included our top six factors that affect the cost of a new roof. One of the most obvious factors that affect the roof replacement cost is the roof’s footprint. If you have to cover more area, you’ll need more materials to cover your roof, and you’ll need to budget for more labor-hours for the roof installation. As a baseline estimate, calculate the square footage of your ground floor. The square footage of your roof will likely be a little bit higher than your ground floor’s square footage. The biggest driver of your reroof cost is the materials that you use to cover your home. Composite shingles tend to be the least expensive type of roof covering. Clay shingles are typically the most expensive roofing material. Absent any other factors, the cost of your roof will be determined by multiplying the price per square foot of your roof by the area you’ll need to cover. Metal roofing is very popular and has the highest lifespan. But, of course, metal roofing comes with an additional cost. More often than note, homeowners choose roofing materials based on their budget and preference. The type of roof on your home will impact the final cost of your new roof. Simple flat roofs are the easiest for roofers to work on, and they’re correspondingly cheaper. Ranch homes and Colonial homes have more elaborate roofs, such as gambrel or mansard roofs. These styles of roofs are more challenging, so installing one of these roofs will cost you more than a flat roof. Closely related to your roof type, the pitch of your roof has a direct impact on your final roofing cost. Steep angles will necessitate elaborate scaffolding and rope lines to keep roofers safe while they work on your home. A softer pitch, on the other hand, will require minimal set-up and safety equipment for the roof replacement. Your immediate environment impacts the type of roof designs and materials that are best to use. In states like Florida that occasionally experience severe weather, you’ll want some amount of pitch on your roof to aid drainage and make sure that water doesn’t collect in flat spots. You’ll also want to use more durable materials that can stand up to hailstorms and heavy winds. Roofing companies in Florida tend to be busy all year-round. Of course, during and after our storm season, the increase in demand increases the cost of new roof construction. It’s important to check back periodically, prices fluctuate during the year, and a reputable roofing company can notify you if prices are on the rise or fall. It might be possible to save money during these ebbs and flows of the roofing market. 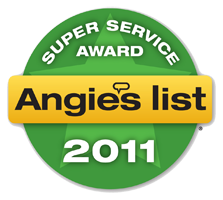 Contact us for a free 10 point inspection if you’re not sure whether your roof can make it another storm season. Emergency repairs usually cost more. It’s better to be pro-active when it comes to roof replacement. Mid Florida Roofing, has been helping businesses and homeowners in the Orlando area with high-quality roofing services since 1999. Call us today at 407-830-8554 for a free roofing estimate.